Jaffna is a city located in the northern tip of Sri Lanka. It has opened his doors to tourism in 2009. 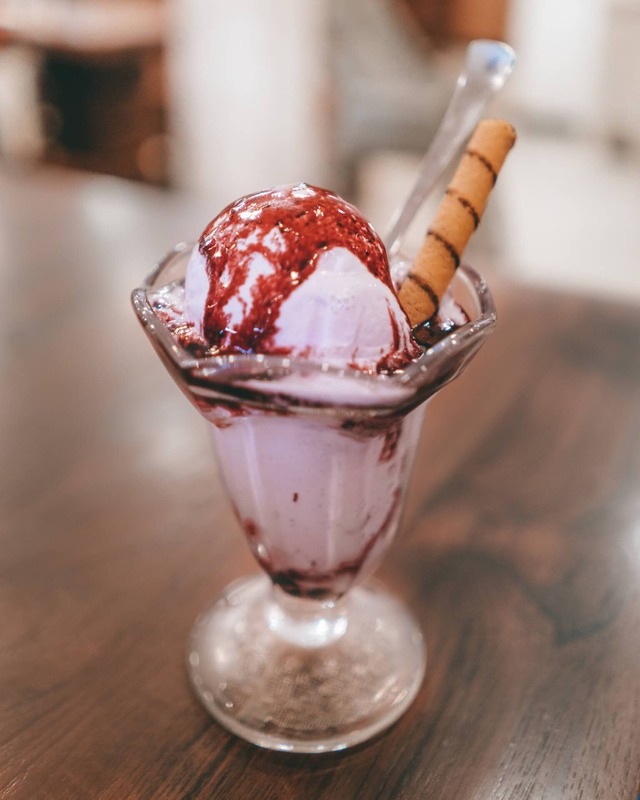 The city has a lot of influence from India, you can see this on the streets and in their food which is different from central or south Sri Lanka. 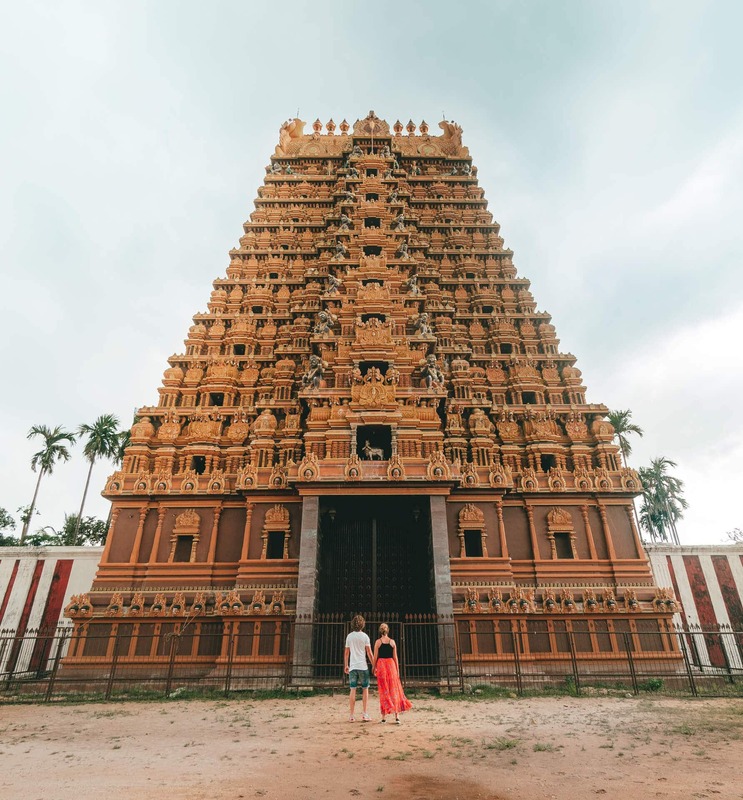 It is a good off the beaten path visit for 2 to 3 days but remembers you need some extra time on your Sri Lanka route since it’s a little dislocated from the usual tourist spots. 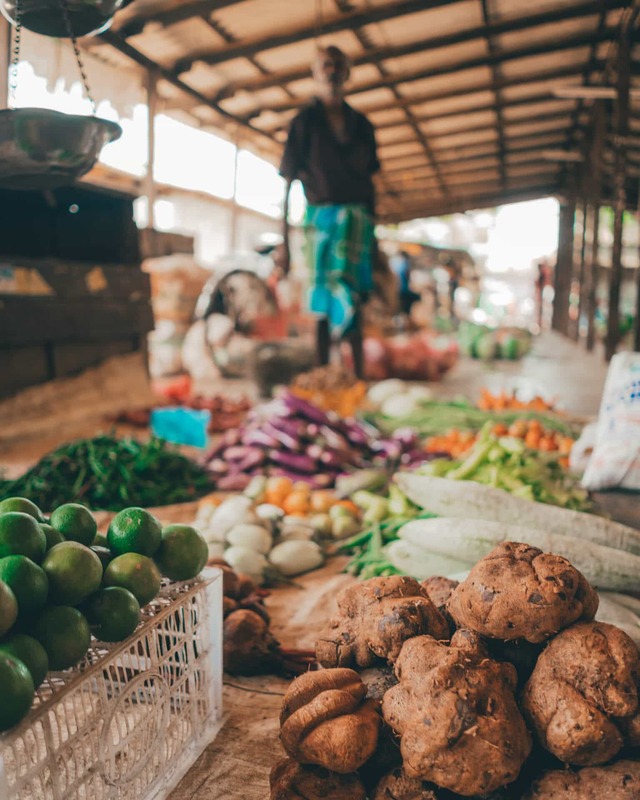 To start your Jaffna experience, blend yourself into the local life at the market. They will be positively surprised to see your faces and from the moment you try to start talking with them, they will open op. 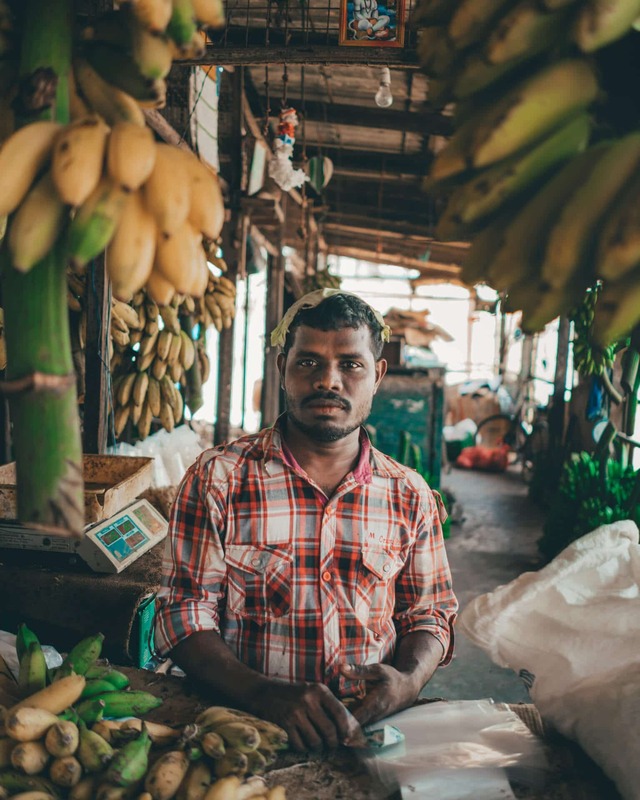 Buy some fruit and start the conversation with these lovely people. Jaffna is one of the busier cities in Sri Lanka. Escape the city with a 25-minute drive towards Kankesanthurai Beach. 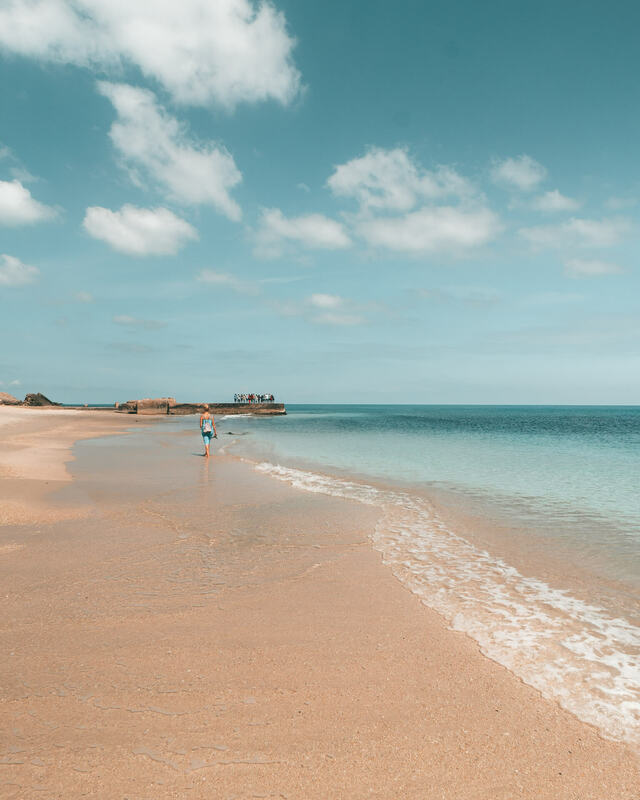 See the very clear blue waters and play around with the locals who are also chilling on the beach. 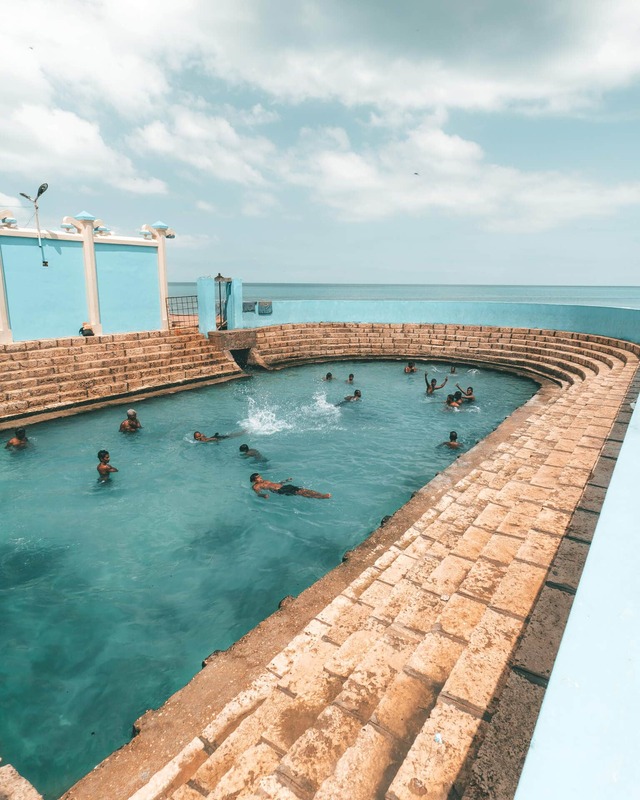 After the beach, head over the Keerimalai Pond which you can see as a natural swimming pool. A full tuk-tuk day-trip will cost you between 750 and 1500 LKR. You can also rent a motorbike in town and explore the coastlines on your own. This Hindu Temple is a 10-minute drive from the city center. You can visit the red colored temple, just take your shoes off. When you plan a visit in late-August, you can experience their 25-day colorful Nallur festival. 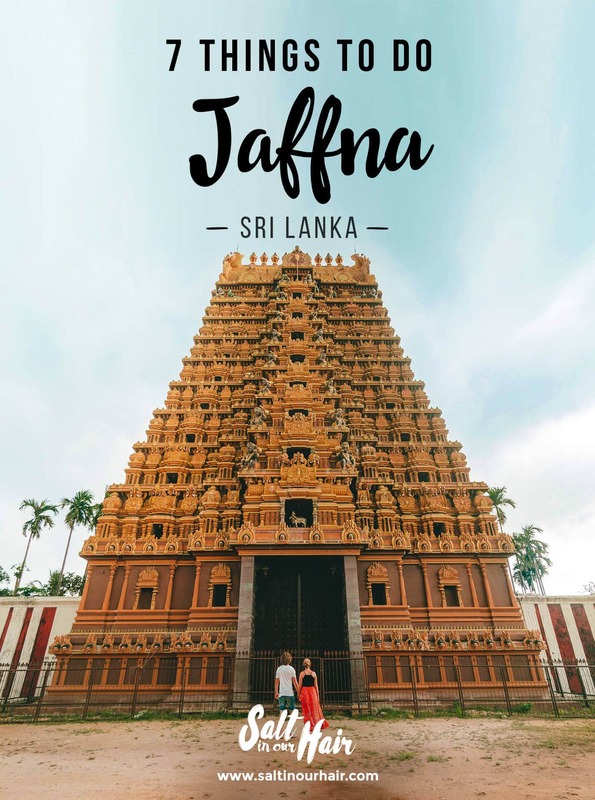 Jaffna is close to India. 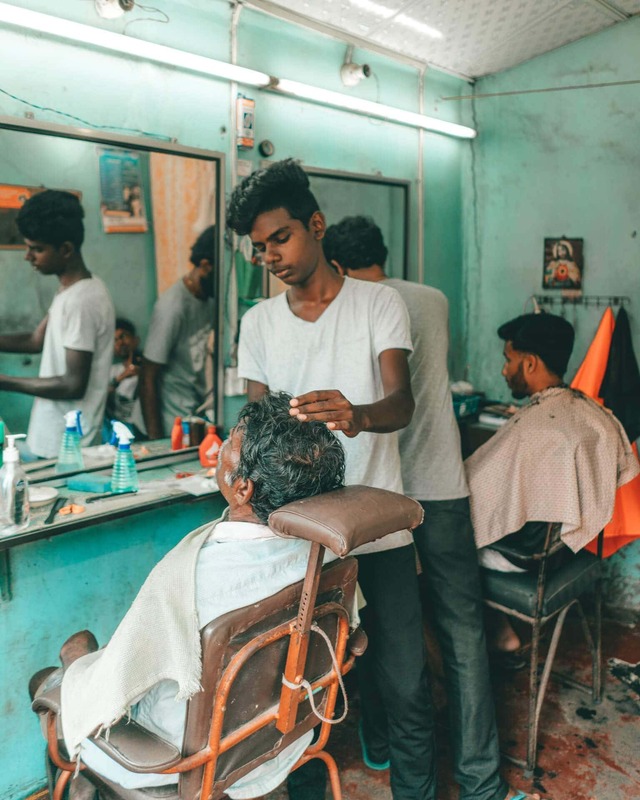 You can experience a bit of India through the food in Jaffna. 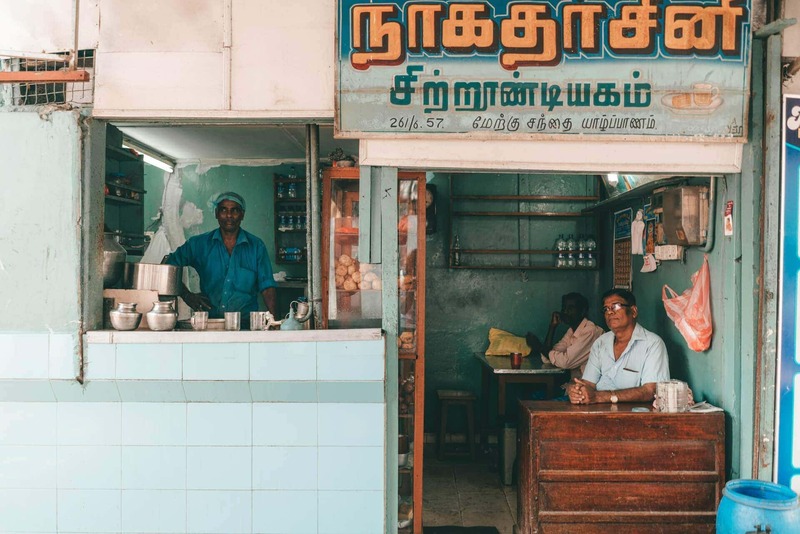 There are a few restaurants that you have to try while you’re in Jaffna. 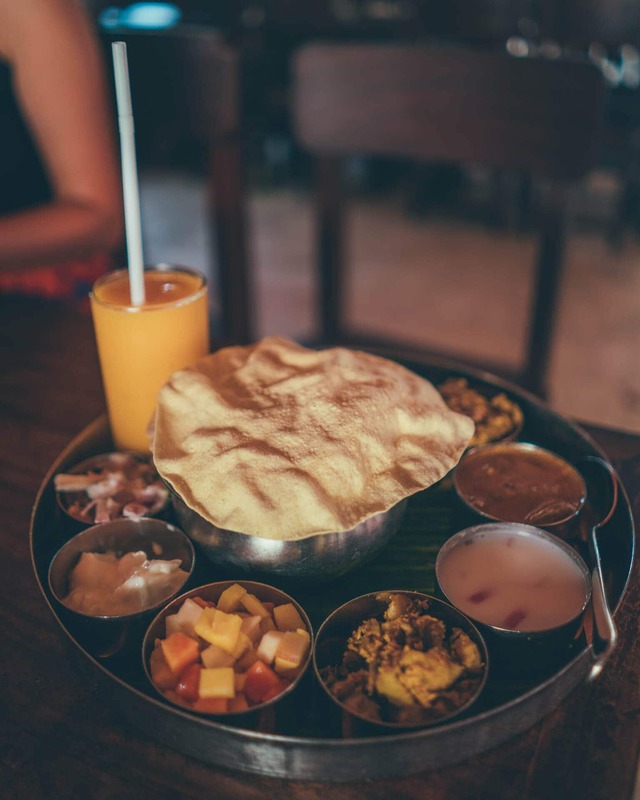 Head over to Mangos to try their Thali. You will get about 10 small bowls with different flavors + rice. Or when you are in for a full local experience. 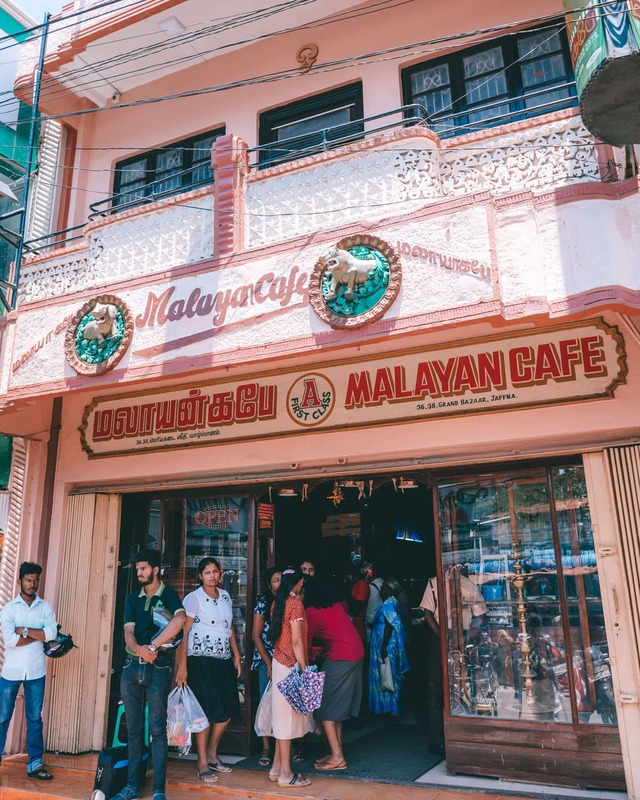 Visit Malayan Cafe, near the market. 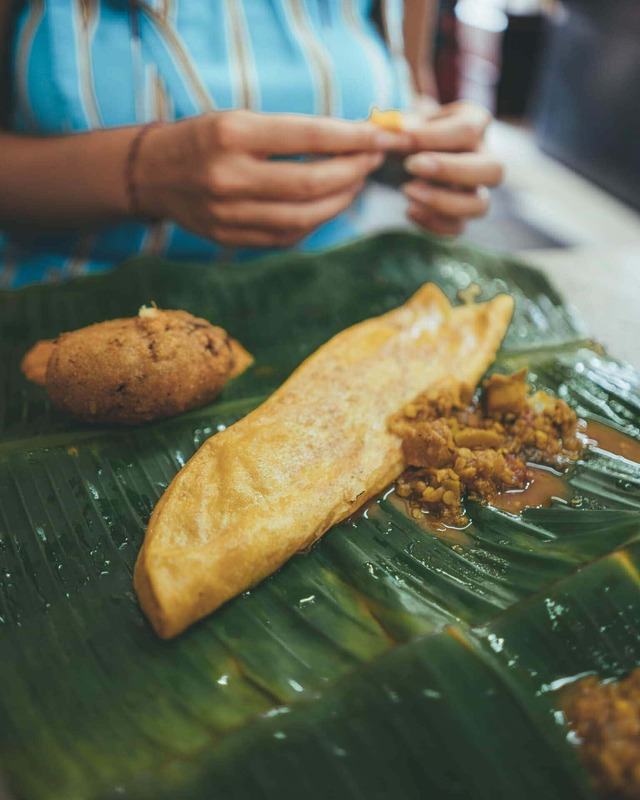 This bakery-like Indian place serves all kinds of bread on a banana leaf. You will see 99% locals here and it’s busy throughout the whole day. One very popular thing to do in Jaffna is visiting one of the local islands. There are two popular islands. Nainativu island can be visited by a short boat trip from the Kurikadduwan Jetty. Visit the temple or do an island tour. The second island is Delft Island, named after a city in The Netherlands. Here you will see wild horses, an old Portuguese Fort The boat trip from Jaffna takes about 1 hour and there are no places to buy snacks or drinks on this island, so taking food and drinks is recommended. 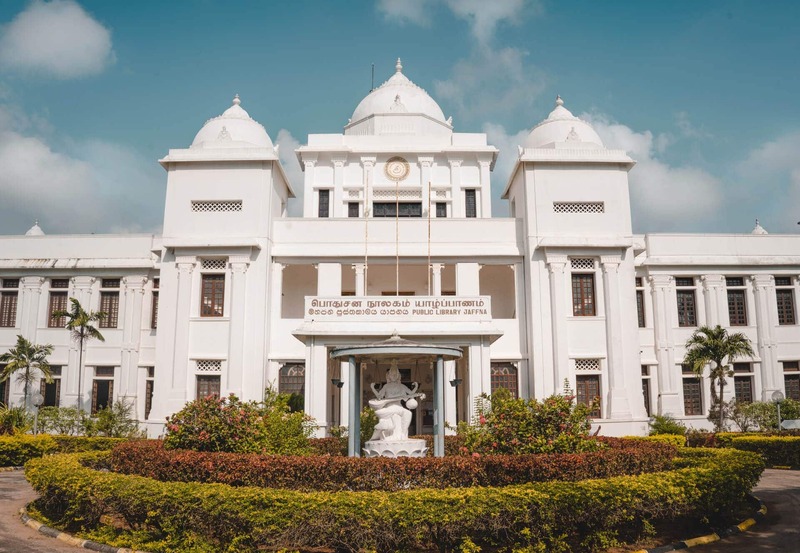 For some more sightseeing in town, visit the old public library in the center of Jaffna. Nearby is the clock tower, which is built by the British. Walking distance from the public library is the old Dutch Fort. Build in 1618 by the Portuguese. The star-shaped fort is great to do a quick walkthrough or see the sunset from the seaside. Jetwing Hotels are one of the leading hotel branches in Sri Lanka. Their property in Jaffna is brand new. New hotel located right in the center of town. Staying on a budget? Just $10 a night. Jaffna has good weather year round but during the months December to March are the most comfortable weather-wise. By car: Jaffna to Trincomalee is a 4-hour straight car drive. By bus: The cheapest option is to go by direct bus. Ask for the times since these can change quite often. Arranging a taxi at the location will usually get you high prices. PickMe is an Uber-like service for long distances. Their prices can be directly calculated from their website. 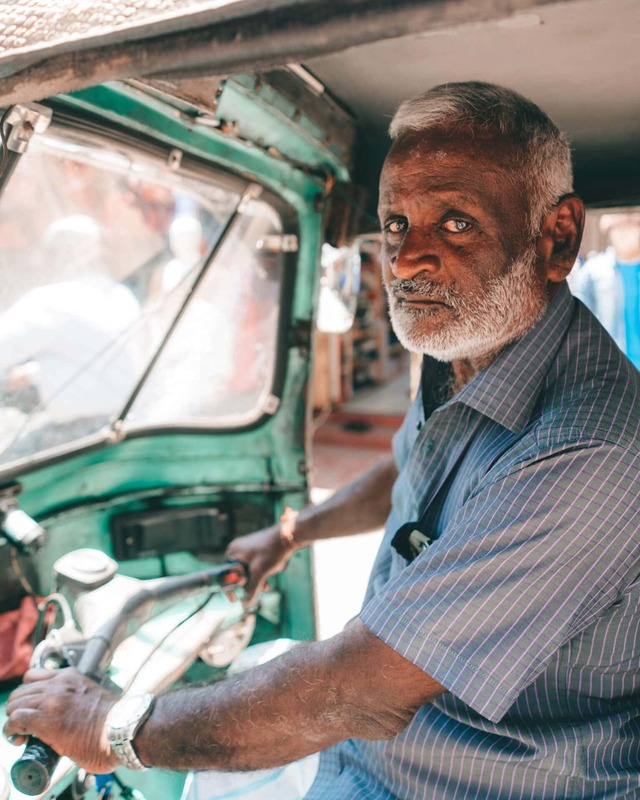 From Colombo Airport to Dambulla you will pay around $40 – $45 dollar for a 2.5-hours drive, English speaking driver, new car with aircon, and pick up from the airport.